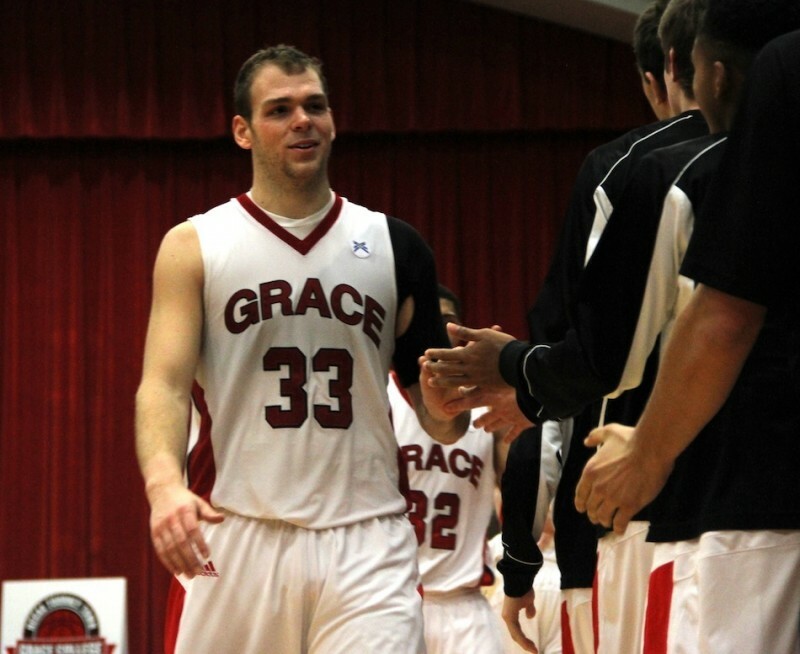 To say that Greg Miller has had a great basketball career at Grace College would definitely be an understatement. To say his impact off the court has been even greater would be right on. The senior star for the Lancers is much more concerned with his contributions away from the game than his final statistic sheet. Miller, an efficient 6-6 forward who hails from Akron, has left quite the mark on the Lancer program. He is just the eighth player in men’s history to score 1,000 points and have 1,000 rebounds. Miller currently has 1,817 points (13th in program history) and 1,034 rebounds (eighth) as he leads Grace into the NCCAA National Tournament this week at home. The seventh-seeded Lancers, who are 18-14 on the season, will face No. 2 seed Colorado Christian (17-13) on Wednesday at 7:30 p.m. in a first-round game of the eight-team NCCAA Championships in the Manahan Orthopaedic Capital Center. The tourney runs through March 22. Miller, an All-American on the court and in the classroom, is the consummate student-athlete. He is nominated for the Pete Maravich Award, the highest honor given by the NCCAA for a combination of character and athletic achievement. “Greg is just a well-rounded, genuine person,” said longtime Grace coach Jim Kessler. “He’s a quiet, steady leader for us. He’s one of my favorite players we’ve had here and we’re going to miss him. Miller is also some player on the hardwood. Despite a torn ligament in the wrist on his shooting hand this season, he leads the Lancers in scoring (17.7), rebounding (9.6) and blocked shots (33). He is shooting 51 percent overall from the field, including 35 percent on 3-pointers, and 76 percent from the free throw line while playing an average of 34.5 minutes per game. “When I saw Greg play as a sophomore in high school (Kessler was actually there to see his older brother Adam play), I knew he had the it factor,” explained Kessler. “He did everything. Miller, who played at North Miami High School, almost didn’t end up in his No. 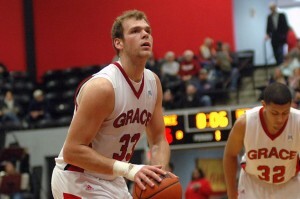 33 Grace College jersey. “I was all set to go to Wright State and their coach left to go to Auburn,” related Miller. “I had told all the other Division I programs who were recruiting me no. Coach K just kept knocking and calling every week. Miller admits he didn’t get off to an All-American start right away in his college career. Miller also wants to make a lasting impact on young people through the game he loves. Miller gives plenty of credit to coach Kessler, the man who now has 697 wins in his 37th season at Grace. Miller, who wants to go into coaching, is also looking forward to his final days of his brilliant college career in the gorgeous MOCC. 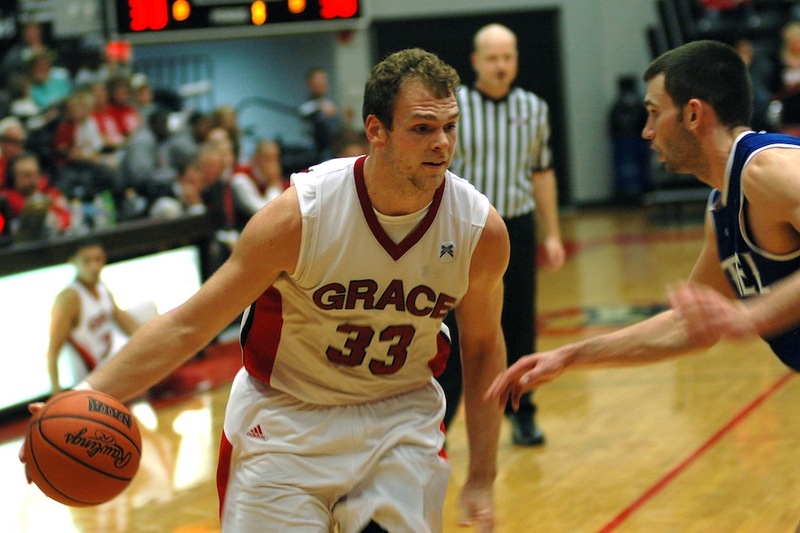 Just like Grace College can’t ask for any more than what Miller has given to their program. This story appeared on Stacey Page Online. Images are from the Grace College Sports Information Department.